Described as The Curious Incident of the Dog in the Night-Time meets John le Carre, about a teen math prodigy with an extreme anxiety disorder who finds himself caught in a web of lies and conspiracies after an assassination attempt on his mother. I cannot write a long review for this book. Not because it isn't good, it really is, but because it'd be so easy for me to spoil something if I did. 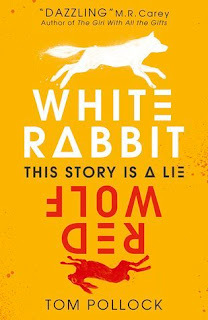 White Rabbit, Red Wolf follows the story of a teen with issues. He has an extreme anxiety disorder, but the story is not about those issues and rather focuses on shocking events that unfold while he attends an event where his mother is due to give a speech about her work. 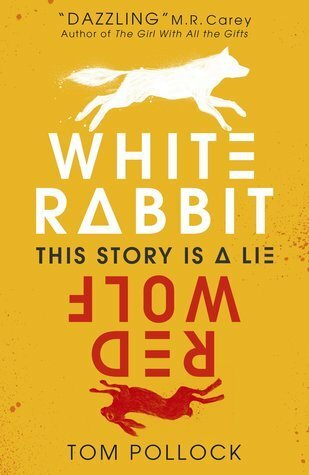 The story is intense and told at break neck pace which means it is one of those books you don't want to put down. The John Le Carre comparisons are totally fair if Le Carre was fortunate enough to be able to write YA fiction this good. I loved it and will be recommending it far and wide.